Discussion in 'Google TV General Discussion' started by Rickaren, Dec 9, 2010. 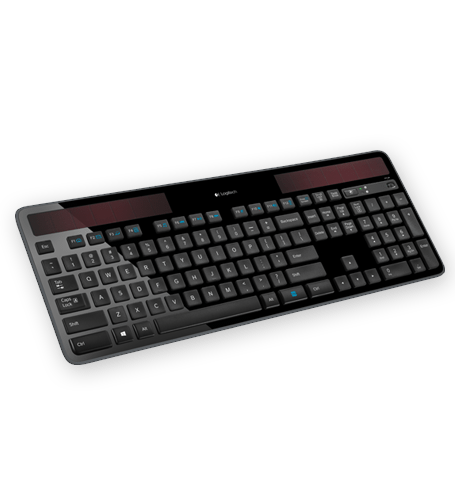 The solar-powered, wireless keyboard that makes battery hassles a thing of the past. Yes it is for you computer but could be a future option for GTV, but do we all have enough sun/light to power this thing? For the 'greenie' on your Xmas list! wtf? Its RF reciever based on BT? Useless? How late 90s. Really? Powered by the electric lights, I presume?? Wonder how that will go over?? Or, will it? I read somewhere the batteries in the full size keyboards are suppose to avg. 1 year of avg. use...... At least that's what I read on one of their web sites..
yes like the calculators you had in grade school...this isnt new technology...its an input device...it doesnt require much power. Make it blue tooth and I would look into it.